A crown procedure usually requires two appointments. 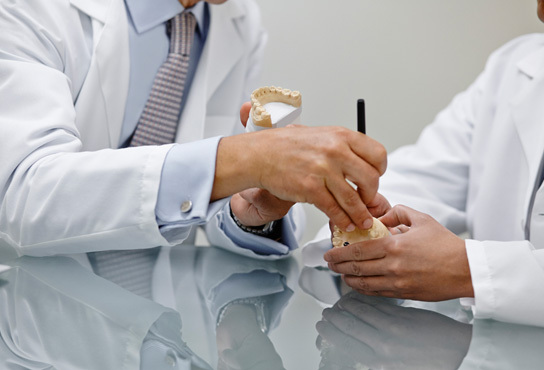 During first appointment, one of our dentists will take several highly accurate impressions (molds) that will be used to create your custom porcelain crown. A mold will also be used to create a temporary crown that will protect your tooth while your new crown is fabricated by a dental laboratory (this takes about two weeks). At Osorio Dental Group, we use the latest technology and finest materials to create porcelain crowns that offer superior fit, function and aesthetics. We will provide instructions for the care of your new dental restoration. As with natural teeth, proper oral hygiene, good eating habits and regular dental visits will help maintain the life of your new crowns. Feel free to contact Osorio Dental Group if you have any questions about porcelain crowns or to schedule a smile consultation with one of our dentists.